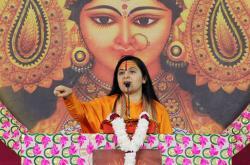 Shrimad Devi Bhagwat Katha- unleashing the Shakti within!! Divya Jyoti Jagrati Sansthan, under the divine guidance of His Holiness Shri Ashutosh Maharaj Ji, organizes Shrimad Devi Bhagwat Kathas from time to time to familiarize the masses with the concealed divine interpretations, and to invoke the spirit of divinity within the masses. 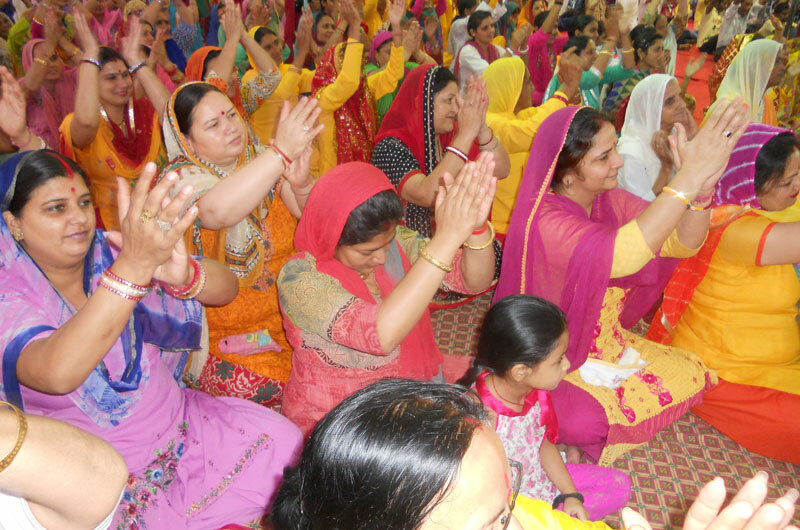 One such program was conducted recently in Jammu. 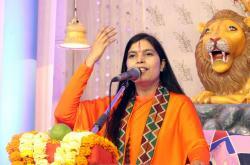 The Katha orator, preacher-disciple of Shri Ashutosh Maharaj Ji recited and narrated the great epic of Devi Bhagwat. Giving lucid narrations of verses from Devi Bhagwat Mahapuran, Sadhvi ji explained that Devi is the feminine facet of the Divine. It is in the arms of the divine mother that universe arises, flourishes and dissolves. The divine mother is worshipped primarily in three forms: Durga, Lakshmi and Saraswati. The worship of divine goddess in these three forms is symbolic of human evolution, from lower self to higher divinity. The goddess Durga is epitomized as the Shakti (energy) who wards off all evils. When there is positive energy or the Durga Shakti, negative forces cannot overpower us. The Goddess is shown to be riding a lion, complementing the aspect of courage or valor, which is the essence of Durga Shakti. Lakshmi is the goddess of wealth and prosperity enriches the human self with the wealth of divine qualities, skills, talents and so on. 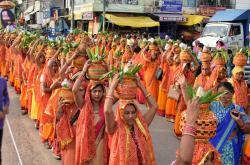 'Lakshmi' implies to the complete spiritual and material well-being of a person. Saraswati is the goddess of knowledge. She is the one who gives the essence (Saar) of the self (Swa). She is often depicted as being seated on a rock. Knowledge, like a rock, is a steadfast support. It stays with us at all times. 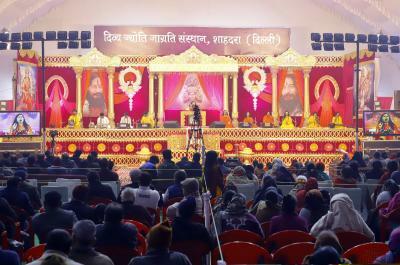 Sadhvi Ji familiarized the masses about the multi-dimensional developmental programs of DJJS such as Santulan- the gender quality program, Manthan- the holistic education welfare program for slum children, Antardrishti- for specially abled and visually impaired people, and Antarkranti -for empowering jail inmates. The Aarti Vandana was concluded by a vote of thanks to chief guests by DJJS preachers, and scrumptious Prasad distribution.